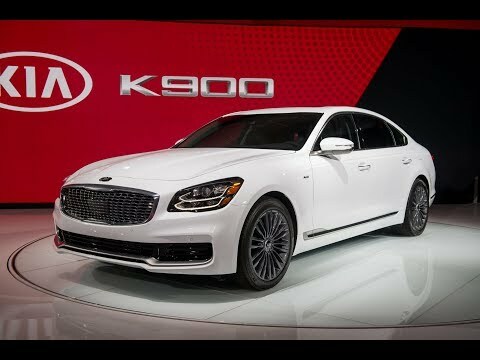 The Kia K900 is the biggest, most expensive, most luxurious sedan the South Korean automaker has yet offered in the U.S.
Now in its second generation, the K900 gives Kia a rival for the Acura RLX, Lincoln Continental, Cadillac XTS, and Genesis G90. 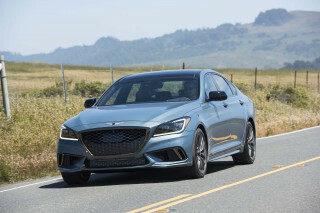 In its second-generation K900, Kia tilted the big luxury sedan more into the sporty realm it now occupies with the smaller Stinger sport sedan. The style now is less formal, but also less memorable. The K900 distances itself from the related Genesis G90 with an anodyne shape that looks more like its own Cadenza large four-door than the Stinger. Inside, it's more memorable, with a wide touchscreen floated on the dash amid a sea of fine leather and walnut or ash trim. The Stinger loans its 3.3-liter twin-turbo V-6 to the 2019 K900. Rated at 365 horsepower and 376 pound-feet of torque, the sole engine teams with an 8-speed automatic. Kia outfits the K900 with standard rear-biased all-wheel drive and torque-vectoring, so it can split power between front and rear wheels, and then between the rear wheels. The new K900 has a longer wheelbase and a stiffer body, which gives it a smoother ride, along with its new electronically controlled shocks. It also has more interior room, and power seats for four of the five passenger spots–up to 20-way adjustment for the driver, of course. 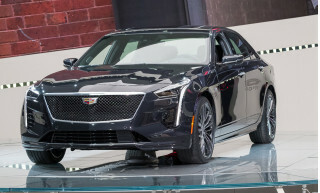 The K900's long safety features list includes blind-spot monitors, adaptive cruise control, automatic emergency braking, and a surround-view camera system. Other features include an available head-up display and a 900-watt, 17-speaker audio with surround sound. 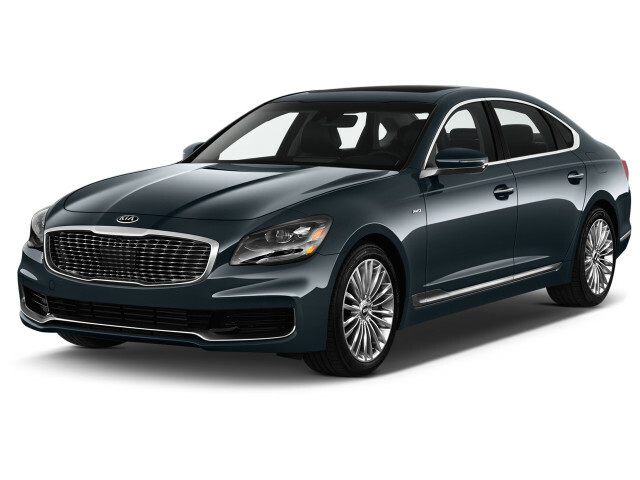 In its first generation, the 2015-2018 Kia K900 wore almost staid styling, with a chrome-heavy grille and a shape compiled, it seemed, from the luxury sedans sold by other brands. The interior sported Nappa leather trimmings inside, with a choice of wood for the fanciest versions. 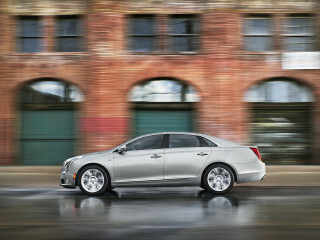 At launch the K900 drew power from a 3.8-liter V-6 rated at 311 horsepower, teamed with an 8-speed automatic. At 420 hp, the K900's optional V-8 made it a direct rival for the then-Hyundai Equus (later renamed the Genesis G90). The V-8 came paired with an 8-speed automatic with a choice of Eco, Normal, and Sport shift modes. Underpinning the K900 was an independent suspension setup with one subframe for the front coil-and-shock setup and another for the rear and its five-link design. Hydraulic power steering was standard; V-6 cars rode on 18-inch, 50-series tires while the V-8 models had 19-inchers. 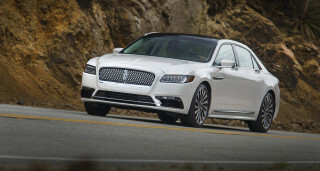 The first-generation K900 shared its 119.9-inch wheelbase with the Equus. It had extravagant rear-seat leg room and good space up front as well, with places for up to five people. Head room wasn't as good as in the more upright Hyundai: the K900's roofline pinched in, and rear-seat passengers suffered the most. Kia fitted base K900 models with a 12-way power driver seat, while 16-way seats are available on higher trim levels. Heating and cooling were standard for the front seats as well. In the rear, all K900s included heated outboard seats and remote controls for the climate control system. A VIP package had rear-seat ventilation, reclining seat backs, and power lumbar adjustment. 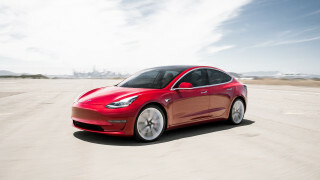 Standard safety equipment included parking sensors and both a front and a rearview camera; safety options included a head-up display, a lane-departure warning system, blind-spot monitoring, and adaptive cruise control. Some of those became standard on higher-priced versions. All K900 sedans had standard power features; leather upholstery; a power-close trunklid; steering-wheel audio and phone controls; Bluetooth with audio streaming; auxiliary and USB ports; and satellite and HD radio. The Lexicon audio system sent output to a set of 17 speakers with a total of 900 watts of power. A navigation system was also standard equipment, and it was controlled through the latest version of Kia's UVO infotainment system. i had been following the K900 since it's release. Low sales kept me away. I finally got over that and test drove the car. The Luxury package gives a "sport" mode that allows the car to be far more spirited... i had been following the K900 since it's release. Low sales kept me away. I finally got over that and test drove the car. The Luxury package gives a "sport" mode that allows the car to be far more spirited. The interior is beyond expectations. The ride reminded me of the first Lexus i owned- a GS400. The only reason not to buy it is for Status Symbol reasons...it is a Kia. They have priced and incentivized the car to accommodate this and just want them bought and on the rode. I leased mine and am laughing at the cost for all that i got.